February is just round the corner, so here is the new downloadable calendar. 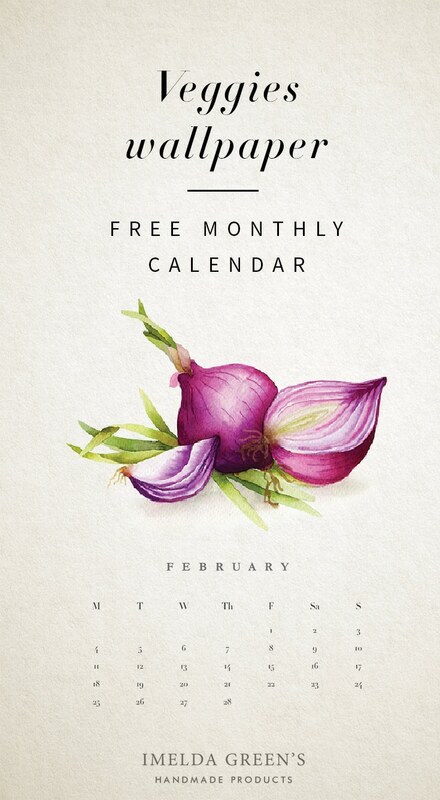 :) February is the month of red onions. Have you noticed how beautiful all the colours are on the inside a red onion when you cut it in half? In the past couple of years I’ve always wondered how unappreciated red onions are (at least as far as looks are concerned), so in this month it will have room to show its beauties. If you prefer to see this calendar on your wall instead of your screen, then take a look at my Etsy shop, where you can find the entire calendar in a downloadable format (along with the last pieces of Forest Animals and Floral wreath series), or subscribe to my newsletter: I’ll send you a printable version at the beginning of every month.